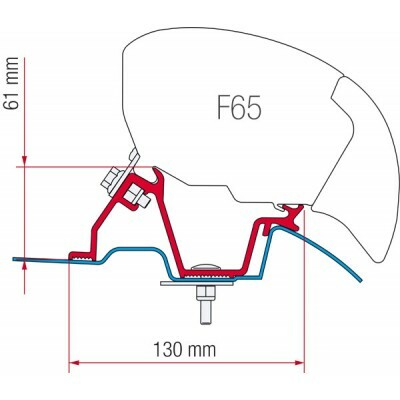 F65 Eagle 319 Mounting Bracket for Mercedes Sprinter High Roof 144"
Adapter Mercedes Sprinter High Roof F65 Eagle 319 Please allow 2-4 weeks for delivery. Ships only by truck freight. For 2007 - 2019 Sprinter 144" vans. This one piece bracket mounts to the Sprinter High roof vans without factory roof rails. This bracket can also be ordered with the Eagle awning, and they can ship together.